I have been continually frustrated by the lack of statistics regarding the VFA competition. This site is an attempt to resolve that issue. In mid 2016 I was contacted by John Ficarra regarding doing more for VFA history. John's enthusiasm and encouragement and assistance have been amazing and has driven the creation of this site. Stephen Wade has supplied the data for 1900 and 1901. His Microsoft Access and Excel layout tips have been very usefuland appreciated. This site could not have been completed without a huge amount of work done by Mark Pennings, Wal Williams and John Ficarra who have done amazing work with building the record of VFA history. The AFL tables website has also been an invaluable help. This is very difficult. In many cases we only have newspaper records which are very time consuming to review. It is especially difficult when there are multiple brothers playing on a team as newspaper records often only provide a surname. Sometimes different newspapers attribute goals to different players. Often there is wide variation in the spelling of players names. Finally transfer details are often sketchy and it is difficult to tell if the player on one team is the same as the player on another team in the following season. The records here will hopefully become more accurate over time. In the history of Australian Football, the VFA can be seen as one of the Senior Football Leagues along with the VFL, SANFL and WAFL. The Victorian Football Association was formed in May 1877 by the Senior Melbourne clubs. It's aim was to co-ordinate football in Victoria in much the way the existing Victorian Cricket Association did with cricket, a role it quickly took up. 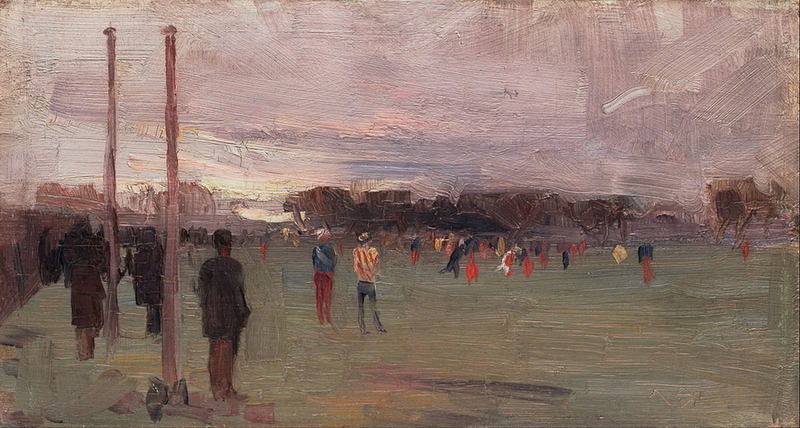 By the 1890's football was in the doldrumns; a long economic depression sent many to Western Australia, cycling and other sports gained popularity. In 1896 a number of the richer and better performing clubs secretly negotiated a new organisation, and in December 1896 the formation of the Victorian Football League was announced. The remaining clubs continued the Association, which continued to be rated as a Senior football competition by the press of the time. The Association had many ups and downs finally closing in 1996. The remaining clubs eventually merged with the AFL Seconds competition to become the current V.F.L.